I always know when my father-in-law’s birthday is coming because it is around the time I start seeing small displays of cherries appear. The displays will be brimming with cherries soon, but right now if you scout around, you can start to find them. Not local for us, but maybe for you. 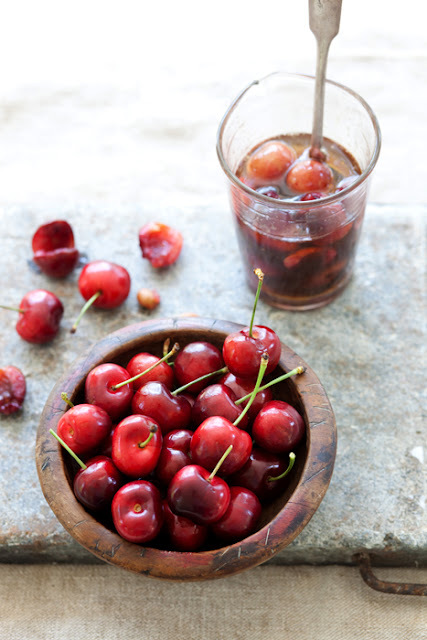 My father-in law tells us that when he was a boy it was a very special treat for him to have a handful of cherries on his birthday. So, I like to honor his special day by making something containing cherries when we gather for his celebration. This June, I have come up with a new recipe that I hope he’ll enjoy, and, of course, I hope that you like it also. It was inspired by all that I have been reading about roasted strawberries….I figure, OK, you can roast strawberries, you can roast cherries, right? Yep, right! Way right! They are just fabulous this way! I’ve coated them with a wee bit of (my favorite) butter and added a dash of sea salt. I’m lovin’ it. Hope you are too! One of my taste testers for this treat asked if I minded if she licked the bowl, my response… “no, not at all”! 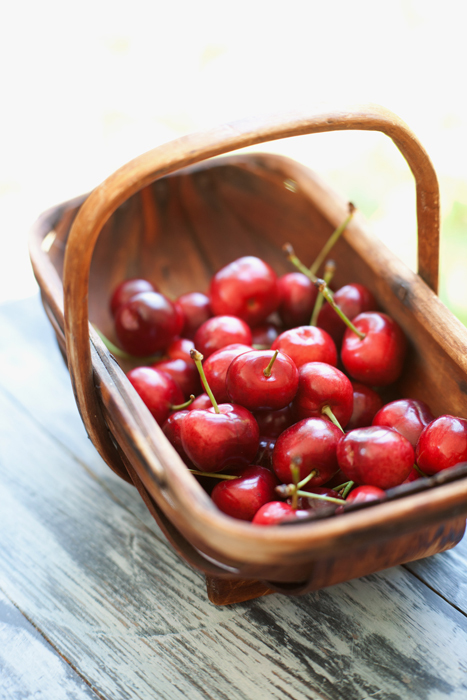 Wash 1/2 pound of sweet cherries, remove stems, pit them and place in a bowl. 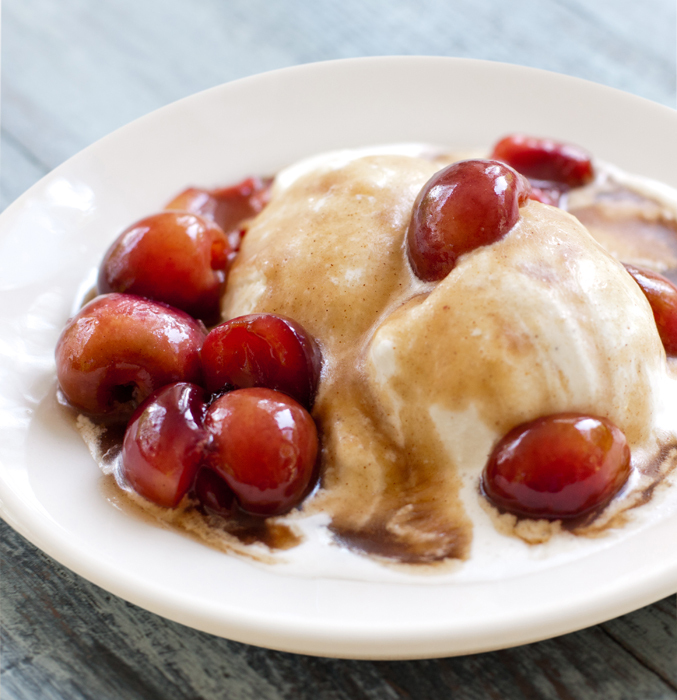 Melt 1 tablespoon of the butter and toss with cherries. 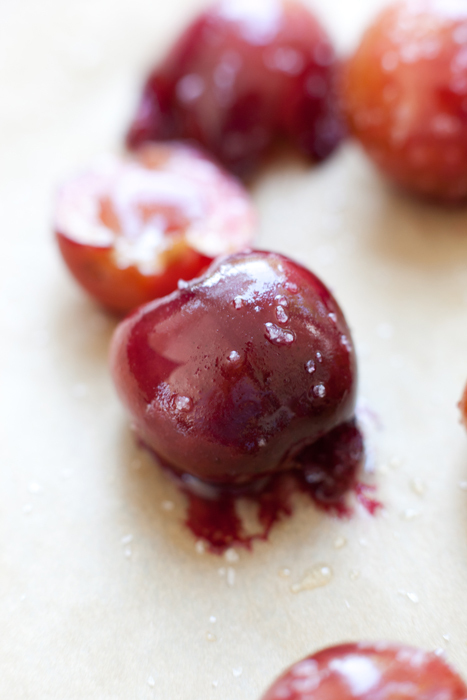 On a cookie sheet (line with parchment paper, if you wish) arrange the cherries and sprinkle with sea salt. Roast in oven for 10 minutes. In a medium pan over low heat melt the remaining 4 tablespoons butter. Add brown sugar and cinnamon and stir till mixture starts to bubble. 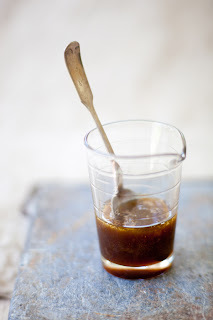 Turn off heat, (please note, if the heat is not turned off this might flame when you add the liqueur) then add vanilla liqueur. Turn heat back on, and let simmer for about 1 minute. Turn off heat and let cool for about 3 minutes. Pour over vanilla ice cream, or pound cake and serve. Enjoy! And yes, it’s OK to lick the bowl! I made this last night for my husband, mom, niece and nephew – I put it on chocolate cake and it was so delicious. We'll be putting it on our ice cream too! Thanks Sue! 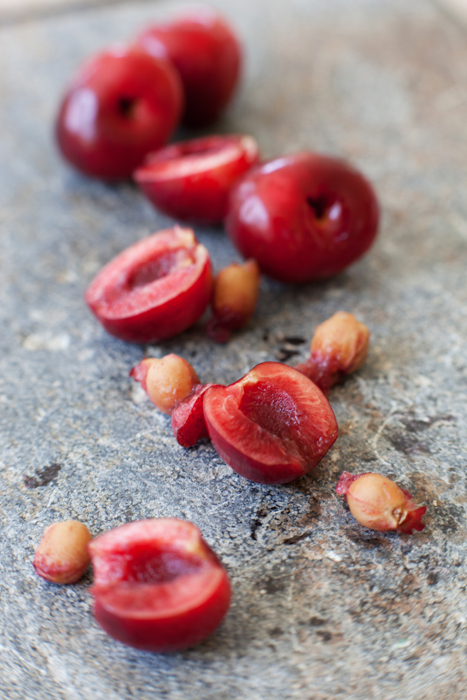 Cherries have that distinct taste when roasted.